On Tuesday, the Ukrainian armed forces fired at populated areas the Donetsk People’s Republics 45 times and killed one self-defender. “We registered 45 ceasefire regime violations by the Ukrainian armed forces. One self-defender was killed, three were wounded. 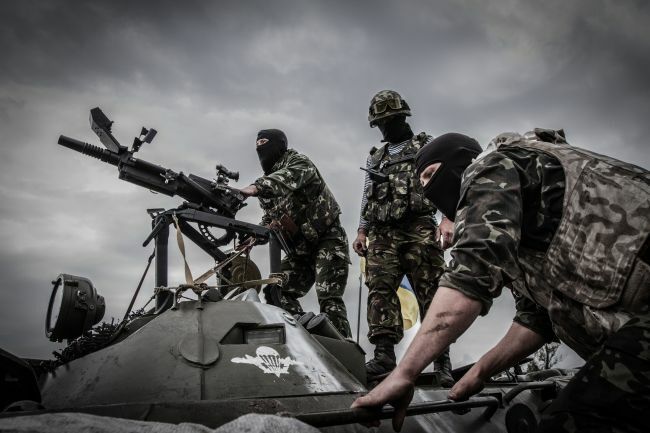 The Ukrainian troops fired at the villages of Zhabichevo, Spartak, Shirokino, Horlivka, Oktyabrsky and Donetsk airport using tanks, mortars and rifles,” reports the Defense Ministry of the Donetsk People’s Republic. Meanwhile, the press office of the anti-terror operation headquarters said that during the same period self-defenders broke the ceasefire regime 23 times - though they did not fire at populated areas. As EAD reported earlier, the ceasefire regime in Donbass was imposed on Feb 15 based on the agreements reached by the Contact Group in Minsk on Feb 12.